Getting a free government cell phone is all possible thanks to the Lifeline Assistance Program. Lifeline is a government benefit that provides a free cell phone with free monthly minutes, data, and texting to those who qualify. Qualifying is easy if you have low income, or you already participate in a government benefit program like Food Stamps (SNAP). This article will be the Food Stamps (SNAP) Recipient’s Guide to Getting a Free Government Cell Phone. What Exactly is the Lifeline Assistance Program? The Food Stamps SNAP Recipient’s Guide to Getting a Free Government Cell Phone: The Federal Lifeline Assistance Program is commonly referred to as the “Obama Phone” program. However, Lifeline was actually established in the 1980s by the Federal Communications Commission (FCC) under the Ronald Reagan Presidency. Lifeline actually originally gave individuals discounted and often free landline phone service. However, as times changed, the program was updated during the Bush Administration in 2005 to include wireless phones and services. Lifeline has a long-rooted history as being a government benefit program that brings people and families together. Low-income individuals often cannot afford basic necessities like communication services. Lifeline, however, makes sure all households have access to wireless phone services so they can stay connected to work, family, friends, 911 emergency services, healthcare, and also job opportunities. If you have food stamps and you would like some help with your cell phone bill, please continue reading to find out why you may qualify for a free government cell phone with free monthly minutes, data, and texting. Why Get a Free Government Cell Phone? The United States economy is improving and is on the rise. There is no mistaking that. However, there are still millions of eligible people that are still unable to make ends meet every month. As cell phone companies merge, and the basic cost of a cell phone with service rises, those with food stamps may not afford their cell phone anymore. Having a cell phone is absolutely necessary in order to get jobs, to receive medical help, and to keep in touch with friends and family. We know that being able to have communication services isn’t just a want; it is a “need” in this day of age. Even though we know that it is important to have a cell phone with services, there are those that still cannot afford it. The Lifeline program makes it possible for these people to have access to this necessary “need”. For example, if you need to speak with a representative over the phone about your food stamps benefits, how will you be able to call them? Payphones are no extremely rare. Companies require you to call during certain business hours. So how will you be able to call a food stamp representative if you do not have a cell phone? You may be able to go to a library and send an email – or you can use your free government cell phone to send out an email or make a phone call. What if you are out on the road and your car breaks down? How will you be able to call for a tow truck or your car insurance company? As you can see, having a cell phone is absolutely necessary, and the Lifeline program can help you get a free government cell phone with free monthly minutes, data, and texting. Where Do You Get a Free Government Cell Phone? There are many providers of the free government cell phone program. How do you know which is a reputable provider? There are 3 main providers of the Lifeline Assistance Program: Q Link Wireless, Safelink, and Assurance Wireless. These 3 companies are reputable and have thousands of subscribers. This is usually the fastest and easiest way to get a free government cell phone. You simply enroll by filling out the company’s enrollment form, and then follow their steps to continue your application. Most providers of free government cell phones let you apply by mailing in an application. You can request a paper application by either email or by calling. We recommend you either use a library computer to do this, or ask a friend for assistance. Several providers also have kiosks that allow you to physically apply for the Lifeline free government cell phone program. Simply follow the steps in the kiosk to apply. The criteria for Lifeline may vary a little depending on the state you live in. The companies approved to provide Lifeline are the ones who verify your personal information. They are also the ones who send out the free phones and manage your Lifeline account. However, since Lifeline is a government-regulated program, many of the eligibility requirements are applicable regardless of the state you live in. There are generally two ways you can qualify for a free government cell phone: qualify by participating in a government assistance program (like food stamps), or qualify by having low income. If you already participate in a government assistance program such as Food Stamps (SNAP), then you are automatically eligible for a free government cell phone with free monthly minutes, data, and texting. 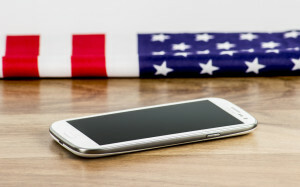 If you are enrolled in a different government assistance program such as Medicaid or Supplemental Security Income (SSI), then you may already qualify for a free government cell phone. If you do not already participate in a government assistance program, you may still be eligible to receive a free government cell phone with free monthly minutes, data, and texting. If your total household income is at or below your state’s Federal Poverty Guidelines, you may also qualify. You want to get the very best cell phone service, but in order to get that, you must do some research. Deciding who your Lifeline service provider is an important step, because you must choose a reputable and reliable provider. After all, what is the point of having a free government cell phone with free monthly minutes, texting, and data, if you cannot use it 100% of the time? In order to do research on Lifeline providers, you can visit their prospective webpages. We would like to point out that three of the most popular Lifeline service providers include: Q Link Wireless, Assurance Wireless, and Safelink. You can visit any of these three providers’ websites. On their websites, you can see if your state is serviced by the provider, and you can also read about their plans. Most providers have a help section, like the one that Q Link Wireless has here. You can also contact the providers for more information. It is imperative that you select the right Lifeline service provider for you. If you are a single mother on Food Stamps, you may need a phone that has access to data to check up on your email and government benefit updates. Therefore, you should find a Lifeline service provider that will offer you a smart phone with free monthly data plan. Lifeline providers may vary by state, so companies offer different cell phones and cell phone plans. You should take some time to read about the different providers offered in your area before deciding on who you should sign up with. Once you have decided who your Lifeline service provider will be, you can then enroll for your free government cell phone via their website, or by contacting their customer service. You may also find out more about Lifeline service providers by submitting your information in the top-right box above labeled “Lifeline Enrollment” and clicking on the red button. Once you have decided who your Lifeline provider will be, you can then apply as soon as possible. You may enroll by filling out an application either online, mailing in a paper application, or by calling them. Enrollment is fast and easy. Something you should know: enrolling online is most likely going to be your fastest and easiest option. If you enroll online, you will get your phone as soon as possible. The Lifeline application is pretty simple. You will provide your name, address, date of birth, and last 4 of your social. You will then select the method for which you are trying to qualify for (either by participating in a government assistance program, or by having low income). Once you have submitted your application, the Lifeline service provider will require you to provide proof documentation that shows you qualify for Lifeline. The required documentation depends on how you qualify for Lifeline. If you qualify by participating in a government assistance program like Food Stamps (SNAP), then you just submit a copy of a proof document (the Lifeline provider will give you examples of what to submit, and how to submit it). If you qualify by having low income, you will send in documentation that proves your low income eligibility. Tip: if you are enrolled in Food Stamps, or any other government assistance program, make sure you select that you want to qualify by participating in a government assistance program. If you do not, then you will have to qualify by low income instead. Each Lifeline service provider has their proof document submittal process. Please refer to their customer service if you have questions about proof document submissions. Once you do submit your documents, you simply just wait for your free government cell phone to arrive in the mail! If any complications arrive, the Lifeline service provider will contact you and help you with getting your free government cell phone. Also, Lifeline providers have varying approval processing times. Approving you may take several days, or even several weeks, which all depend on your state and other factors. Remember that we are not affiliated with the FCC, with the Lifeline Assistance Program, or with a Lifeline service provider, so any questions you may have should be directed towards the Lifeline service provider of your choice. Is There Anything Else I Should Know About Getting a Free Government Cell Phone? There are just a few things you should know before applying for a free government cell phone with free monthly minutes, data, and texting. Knowing these key facts will help determine your eligibility and will help with your enrollment process. First, you may only have one wireless or landline Lifeline account per household. If you already have a free government cell phone from another provider, then you may not be able to sign up for another phone. 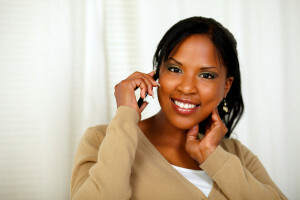 Therefore, households cannot receive a phone from multiple providers. Secondly, the address you provide on your application must be your current place of residence. Please also note that service and free government cell phones are non-transferable. Third, it is considered good practice to use your free government cell phone with free monthly minutes, data, and texting at least once per thirty days. Lifeline service providers may suspend or de-enroll you if you do not make a phone call or send a text for more than thirty days. Also, if you suddenly no longer qualify for Lifeline service, then you must notify your chosen Lifeline service provider within thirty days of your eligibility change. Please refer to your chosen Lifeline service provider’s terms and conditions for more information.